Purify, soften and balance skin's natural moisture levels with this deep cleansing oil formulated with grapeseed, may chang and ho wood oils. A proprietary blend of fruit stem cells and Vitamin C infused into organic, resveratrol-rich grapeseed help dissolve impurities. 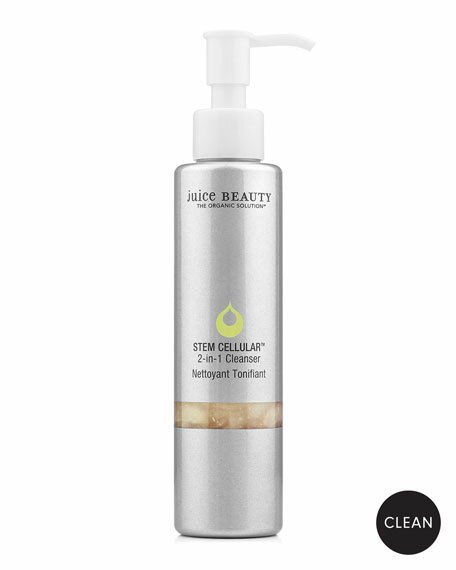 Juice Beauty's STEM CELLULAR Cleansing Oil is ideal for all skin types and especially beneficial for skin showing the signs of aging including fine lines and wrinkles.